sailboat. : Missing You Always. 12:30am. It was almost time. You were quietly rustling in your hay nest and I couldn't sleep, not wanting you to be cold or alone. I scooped you up and brought you to bed, tucking you in beside me. You listened to me talk for a few hours, letting me gently hold your little paw. I think you were doing a better job at reassuring me, when it should have been the other way around. A final few shallow breaths, one last twitch of your ears and you slipped peacefully away. We grew up together, you and I. You knew all of my secrets, patiently listening to all of the silly worries my early-twenties seemed to conjure up, always there with a reassuring nose nudge or an agreeable stomp. Oh how good you were at stomping. It's not the same here anymore and it won't ever be again, not without you. But I'm clutching on to the thought that being with you in your final moments, and I'm so thankful that they were peaceful, just the two of us, is all I could have hoped for as the end became our present, and now my past. Oh and by the way, I just found that little clump of hay (that must have taken ages to wedge in there) under the seat of my rowing machine. And that shows just how often I've been using that lately, doesn't it? Are you really exercise guilt tripping me from the bunny afterlife? Missing you always, little kale monster. - One thought from each day, told in fewer than one hundred words (probably). Sometimes odd, sometimes silly, sometimes entirely nonsensical. Who knows. I don't. It's a new thing I'm trying. Except for this week. This week was difficult. The words wouldn't come. And I couldn't write anything else. I'm so sorry to hear! Losing a pet, heck, losing a family member is so so hard and it doesn't matter whether they were a fish or a dog, nothing can prepare you for the pain of losing a loved one. Bunnies are such characters! Take care of yourself, take the time to remember all the memories and definitely keep looking at that beautiful face too. You can't have too many photos now, can you? Sending as many virtual hugs you need! This really touched me, I'm so sorry for your loss. It's truly heartbreaking saying goodbye to a beloved pet. I'm sorry. I'm so sorry, it's heartbreaking losing a beloved pet. Your words are really touching. Aww im sorry Ralphie passed away, its always tough when you lose your pet. I missed my rabbits (cats and dog) a lot too when they passed. I loved reading those beautiful words, people often forget that little creatures like rabbits can be such great companions too. So sorry for the loss of Ralphie, Jennie. He's been as much a part of your blog story as you have been; ever since I started reading your blog years ago he's been such a big part of it. Sending you lots of love. I'm so sorry to hear this, Jennie. I was very touched by your writing. Wishing you peace. <3 such beautiful words, Jennie. Oh Jennie. So sorry for your loss! Sending you lots of love. I'm so sorry to read this Jennie, it's so hard to lose a pet. Reading this really touched me and made me thinking about when we lost the dog my sister and I grew up with four years ago. Take care of yourself, allow yourself to miss him, and remember the wonderful memories. Sorry to hear of your loss, this is a beautiful tribute. Take care of yourself! 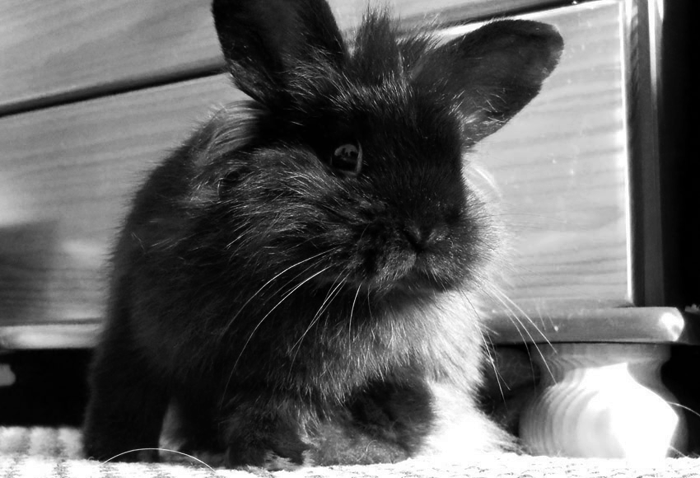 My bunny that I spent the past eight years with was put to sleep as well last week and I feel your pain. How much these tiny creatures give you, how strong they are and their ability to help us through tough times is incomparable... they're family and it's extremely difficult to loose a member. Oh Jennie, I'm so sorry <3 Rest in peace little Ralphie. I'm glad he at least went peacefully, and with you with him - he must have known how much he was loved. Big hugs, lovely lady! Oh, Jennie, I'm so sorry to read this. I'm in work at the moment and I'm tearing up at my desk - you've written such a beautiful tribute to little Ralphie. RIP, little dude. Sending you my love, Jennie. I am so sorry for your loss, Jennie. Ralphie was such a beautiful boy and you have given him a beautiful tribute. I'm so sorry for your loss Jennie, this was beautiful and sad to read at the same time. I hope you're fine now, and try to think of the good memories you've shared together all these years. losing a bun frien is the hardest. my charlie munchers passed on 4 years ago this feb and i still think about him every day, he was such a dream bun. people don't realise how intense the rabbit friendship really can be!!! The day the sky fell in.